What could you get out of the National Football Museum’s volunteer scheme? Since January 2016, we have welcomed over 100 people from all walks of life through our museum doors as part of the scheme. Whether you’re in higher education and are seeking work experience, want to improve confidence levels and life skills or simply be part of our friendly, proactive team, our volunteer programme has a role suited to you. Our dedicated volunteers can share the stories of objects on the galleries, showcase the equipment of yesteryear on our handling tables, assist with a variety of programmes and events and participate in some of our rewarding community outreach projects. We also work alongside local and national charities such as The Prince’s Trust, Back on Track and the Richmond Trust, offering placements for those who wish to develop their skills in a warm and relaxed environment. 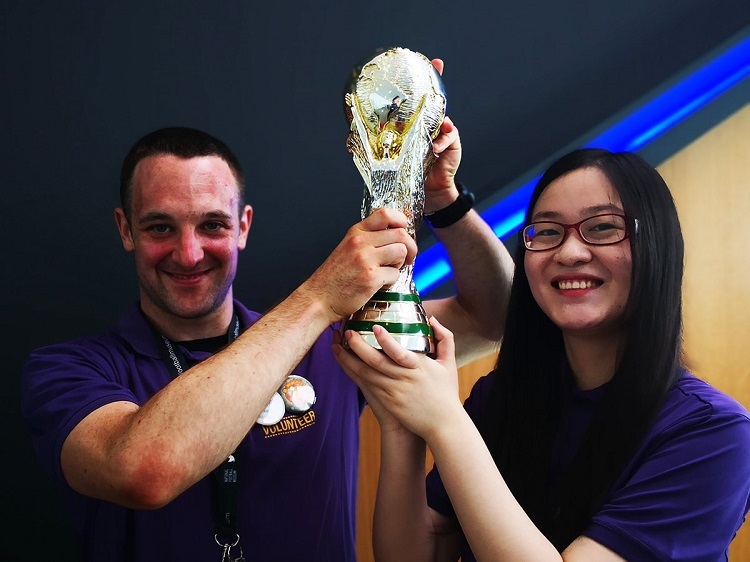 Many of our volunteers have used their experience with the National Football Museum to secure employment elsewhere, or have gone on to further placements with other organisations. Find out more about the volunteer roles currently available at the National Football Museum by clicking here.